STRAIGHT SHOOTIN’ IN SIN CITY! 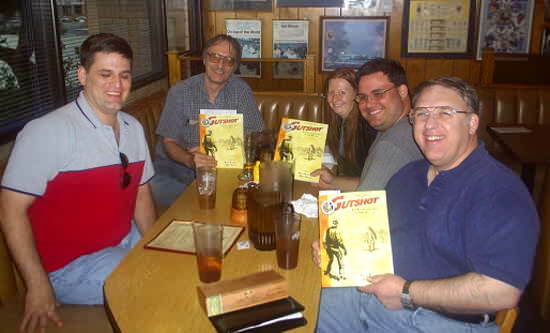 Las Vegas Historicals Group Gets Gutshot! Gutshot not only made a good showing at the GAMA Trade Show in Las Vegas this year, but it was picked up in quantity by the fine gamers of the Las Vegas Historicals Gaming Group. On Sunday March 13th, members of the group met with game co-creator Mike Murphy and shared old stories, good times, and chance to get Gutshot. Rick SanAugustin and Matthew Babb share a copy of Gutshot while Joe Knight tries to keep quiet in the background. 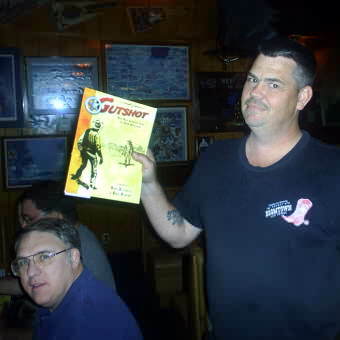 Dan Tuziak shows off his copy of Gutshot while Greg Dryanzski wonders what Dan is up to. 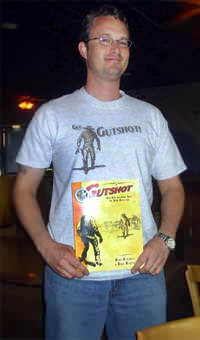 Joe Knight shows everyone WHY he IS “the man” with his copy of Gutshot AND his Gutshot T-shirt (available at the Gutshot General Store). Mike Murphy and Jason Coffey relax over drinks and Gutshot. 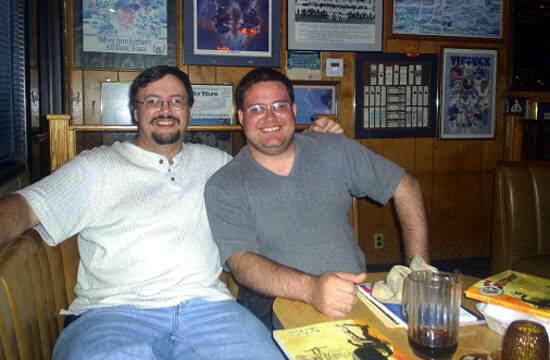 Mike Murphy sits next to his good friend Tom Adams, who has spent a good part of his time keeping Murph from getting thrown out of bars and hit on by drunk old ladies. 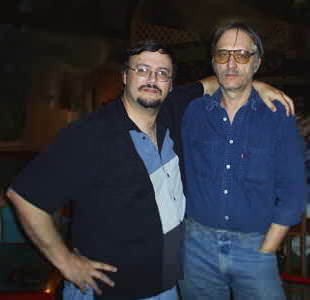 Mike Murphy and Joe Sudek. 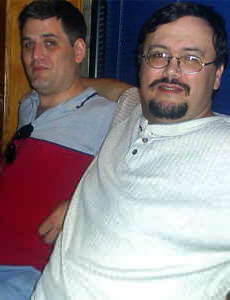 Some of the Original Triple J Playtesters.